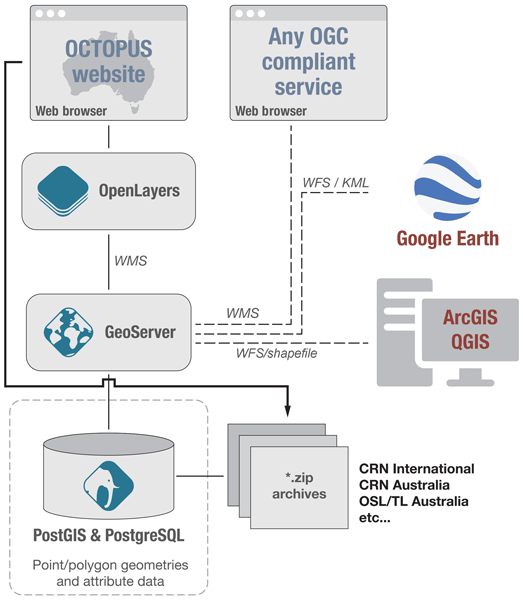 OCTOPUS is a database of cosmogenic radionuclide and luminescence measurements in fluvial sediment made available to the research community via an Open Geospatial Consortium compliant web service. OCTOPUS and its associated data curation framework provide the opportunity for researchers to reuse previously published but otherwise unusable CRN and luminescence data. This delivers the potential to harness old but valuable data that would otherwise be lost to the research community. REMdb was created in the aftermath of the Chernobyl accident (1986) by the European Commission. Since then it has been maintained with the aim to keep a historical record of the Chernobyl accident and to store the radioactivity monitoring data gathered through the national environmental monitoring programs of the European Union Member States. To date, the total number of data records stored in REMdb exceeds five million, in this way providing a valuable archive for everyone. 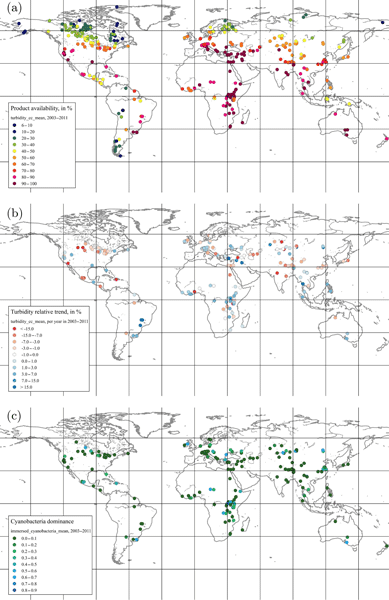 This study describes the generation of a classification and the global spatially explicit mapping of six crop-specific tillage systems for around the year 2005. Tillage practices differ by the kind of equipment used, soil surface and depth affected, timing, and their purpose within the cropping systems. The identified tillage systems including a downscale algorithm of national Conservation Agriculture area values were allocated to crop-specific cropland areas with a resolution of 5 arc-minutes. 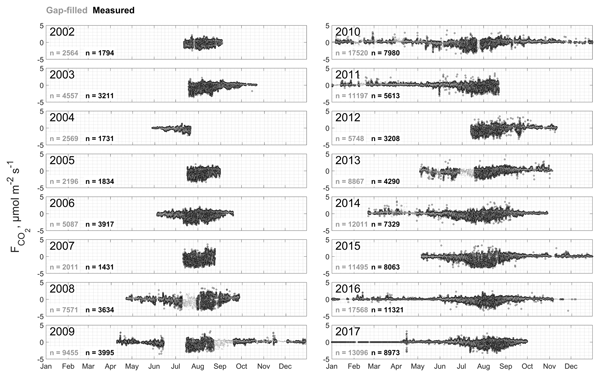 This study describes a two-months dataset of ground-based, vertically pointing triple-frequency cloud radar observations recorded during the winter season 2015/2016 in Jülich, Germany. An intensive quality control has been applied to the unique long-term dataset which allows for the first time to statistically analyze the multi-frequency signatures of ice and snow particles. The analysis includes for example aggregation and its dependence on cloud temperature, riming, and onset of melting. DamaGIS is a GIS database which aims to collect and assess the severity of flood-related damage. The reason for creating this database is the lack of precise damage data available to calibrate and validate flood risk assessment models. To this end, DamaGIS offers highly precise and easily accessible flood-related damage data. It uses multiple sources such as social networks. Since 2011, 729 damages caused by 23 flood events in the south of France have been reported within the database. Hong Kong is poised to become a model region for understanding the effects of urbanization, biotic invasions, and protected areas in the subtropics. However, until now there were few suitable GIS layers to address these issues on a landscape scale. This set of 30 m resolution vegetation, topography, and interpolated climate rasters will enable a new generation of spatial studies in Hong Kong. Compared to global datasets, these local models consistently indicate greater climatic heterogeneity. Dahurian larch (Larix gmelinii) is the dominant species in northeast China, which is situated in the southernmost part of the global boreal forest and is undergoing great climate change. 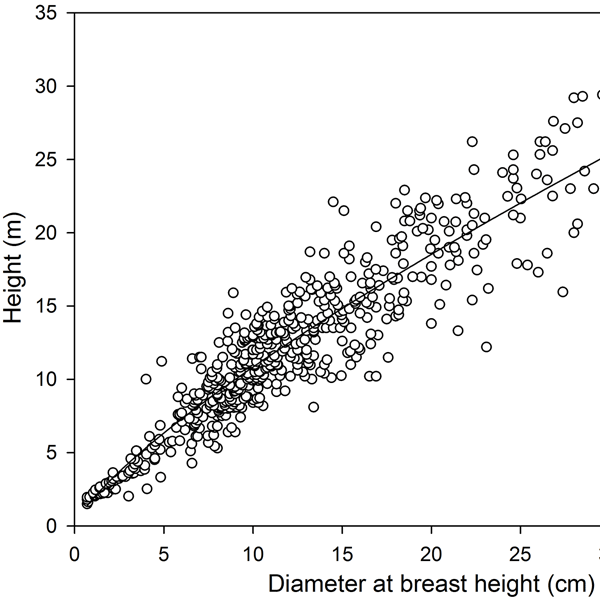 Its growth characteristics (tree height, diameter at breast height, tree volume and/or stand volume) were collected from published studies from 1965 to 2015. The data set (N=743) provides a quantitative reference for plantation management practices and boreal forest growth prediction under future climate change. 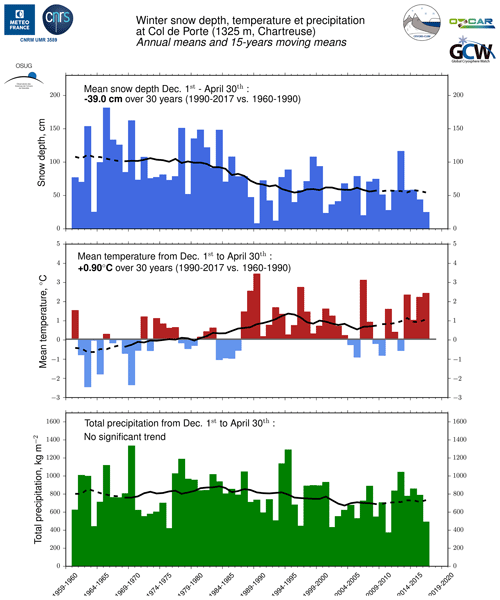 This paper introduces and provides access to a daily (1960–2017) and an hourly (1993–2017) dataset of snow and meteorological data measured at the Col de Porte site, 1325 m a.s.l, Charteuse, France. The daily dataset can be used to quantify the effect of climate change at this site, with a reduction of the mean snow depth of 39 cm from 1960–1990 to 1990–2017. The daily and hourly datasets are useful and appropriate for driving and evaluating a snowpack model over such a long period. High-resolution temperature data sets are important for the Chinese Tian Shan, which has a complex ecological environment system. This study presents a unique high-resolution (1 km, 6-hourly) air temperature data set for this area from 1979 to 2016 based on a robust statistical downscaling framework. The strongest advantage of this method is its independence of local meteorological stations due to a model internal, vertical lapse rate scheme. This method was validated for other mountains. The paper introduces a new product composed of a set of climatic indices from 1950 to 2015 for the Mediterranean Sea. 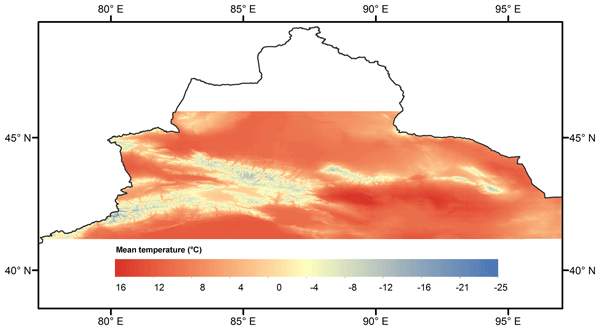 It is produced from a high-resolution decadal climatology of temperature and salinity on a 1/8 degree regular grid based on the SeaDataNet V2 historical data collection. The climatic indices can contribute to the studies of the long-term variability of the Mediterranean Sea and the better understanding of the complex response of the region to the ongoing global climate change. The Diversity II inland water database consists of remotely sensed water quality information for more than 300 lakes in the whole world. It was derived from optical and thermal imagery acquired by the ESA ENVISAT satellite between 2002 and 2012. The database consists of spatially resolved monthly, yearly and 9-year averages for 10 geophysical parameters. Its practical usage is demonstrated by means of several case studies on lake-specific processes and regime shifts. Copepods are the predominant taxon in marine zooplankton and play an important role in the pelagic food web as intermediators between primary producers, the microbial loop and higher trophic levels. Here, we provide 33 data sets with abundances for a total of 312 copepod taxa from the Southern Ocean, the Magellan region, the Great Meteor Bank and the northern Red Sea, and the Gulf of Aqaba. The Sentinel-2 satellite mission allows the observation of the land surface at unprecedented resolutions (20 m every 5 days). The frequency of observations can be further increased with Landsat-8. Here we describe a new collection of snow maps made from Sentinel-2 and Landsat-8 and evaluate their accuracy. The data are routinely produced over several mountain areas and freely distributed via http://theia.cnes.fr. These new data could unlock advances in our understanding of mountain ecosystems. The scientific community uses numerical models to predict future atmospheric levels of greenhouse gases causing global warming. 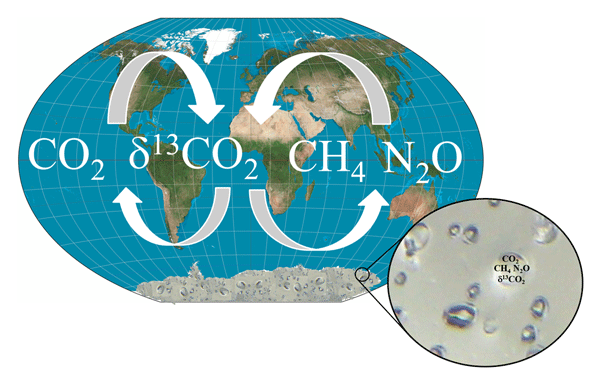 This study presents the history of atmospheric concentration of the major greenhouse gases over the last 2000 years measured in ice core bubbles from the site of Law Dome (East Antarctica). The associated dataset is useful to test climate models and help provide accurate predictions of future climate change. This paper is an overview of the contents of the SISAL database and its structure. The database contains oxygen and carbon isotope measurements from 371 individual speleothem records and 10 composite records from 174 cave systems from around the world. The SISAL database is created by a collective effort of the members of the Past Global Changes SISAL working group, which aims to provide a comprehensive compilation of speleothem isotope records for climate reconstruction and model evaluation. This paper presents and analyzes a global database of soil infiltration data, the SWIG database, for the first time. In total, 5023 infiltration curves were collected across all continents in the SWIG database. These data were either provided and quality checked by the scientists or they were digitized from published articles. We are convinced that the SWIG database will allow for a better parameterization of the infiltration process in land surface models and for testing infiltration models. This sample collection presents a database that integrates surficial sediment samples collected and analysed for textural characterization within the framework of a series of research projects. 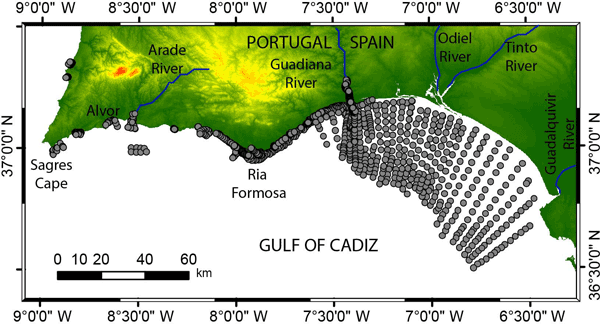 A total of 4727 samples within the framework of 24 projects developed between 1996 and 2015 along the southern Atlantic coast of the Iberian Peninsula, focusing along the Portuguese coast, including sediments from the continental shelf, beaches, estuaries, and coastal lagoons. In early 2016 the NOAA's El Niño Rapid Response Field Campaign documented the ongoing strong event and its impacts. 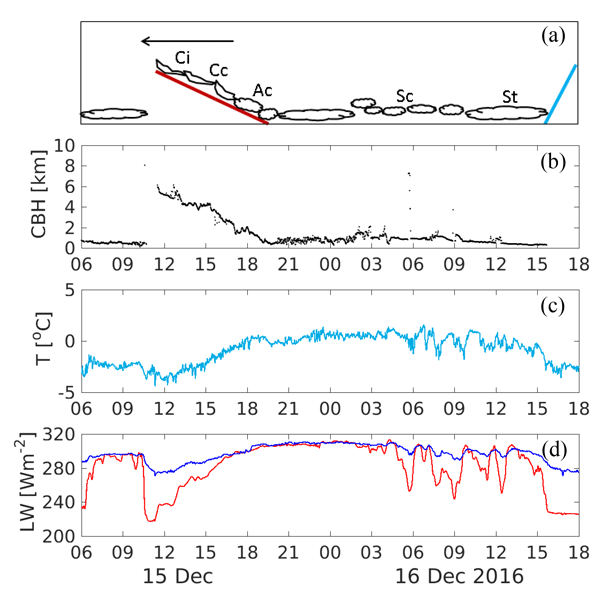 Observations from the warmed Pacific included 10 weeks of surface meteorology from Kiritimati Island and 4 weeks of surface meteorology and air–sea fluxes from NOAA Ship Ronald H. Brown. We have vetted the data, identifying issues and minimizing their impacts when possible. Measurements include a meter of rain at Kiritimati, and continuous ocean and air conditions from the ship. Long-term observations are critical records for distinguishing natural cycles from climate change. We present a data set of 40 surface ocean CO2 and pH time series that suggests the time length necessary to detect a trend in seawater CO2 due to uptake of atmospheric CO2 varies from 8 years in the least variable ocean regions to 41 years in the most variable coastal regions. This data set provides a tool to evaluate natural cycles of ocean CO2, with long-term trends emerging as records lengthen. The AlborEX (the Alboran Sea Experiment) consisted of an experiment in the Alboran Sea (western Mediterranean Sea) that took place between 25 and 31 May 2014, and use a wide range of oceanographic sensors. 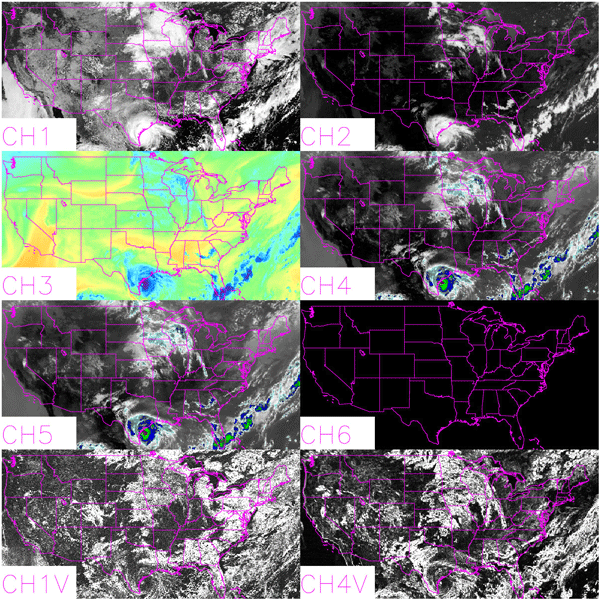 The dataset provides information on mesoscale and sub-mesoscale processes taking place in a frontal area. This paper presents the measurements obtained from these sensors and describes their particularities: scale, spatial and temporal resolutions, measured variables, etc. 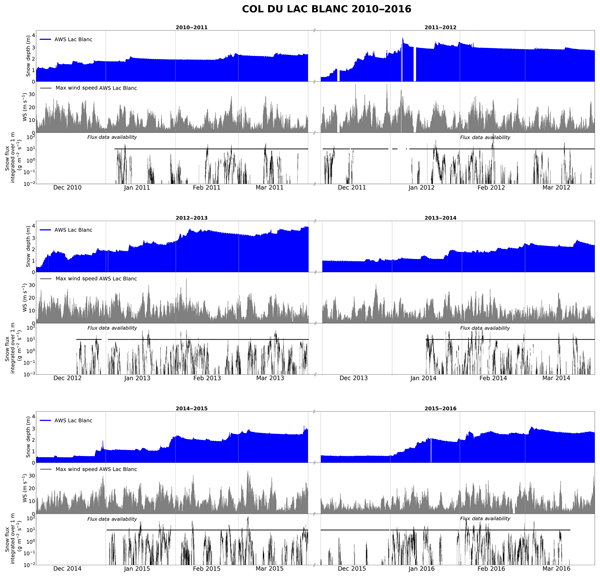 The paper introduces a meteorological and blowing snow data set from Col du Lac Blanc (2720 m a.s.l., French Alps) allowing physical parameterizations and numerical models of blowing snow to be developed and evaluated. 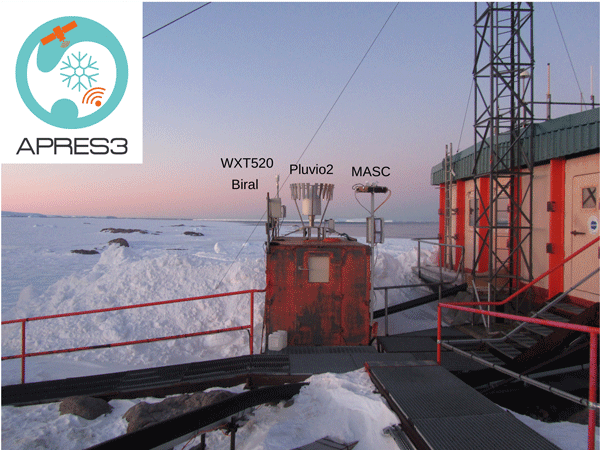 In situ winter season data consist of wind, snow depth, air temperature measurements and a database of blowing snow occurrence (2000–2016) complemented by measurements of blowing snow fluxes (2010–2016). Atmospheric data from a meteorological reanalysis and a DEM are also provided. We developed the first global maps of natural geological CH4 flux and isotopic values which can be used for new atmospheric CH4 modelling. 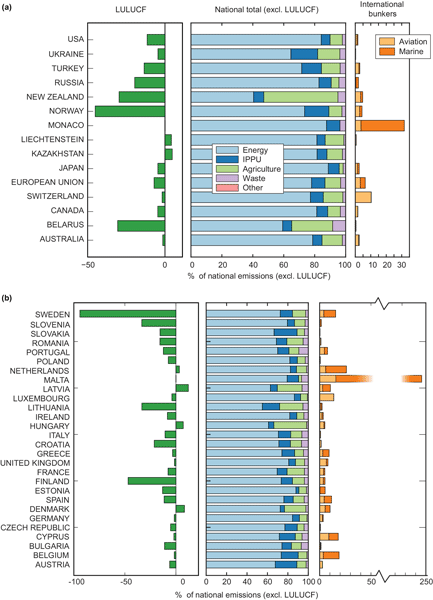 The maps, based on updated, measured and theoretically estimated data, show that the highest geo-CH4 emissions are located in the Northern Hemisphere (N. America, Caspian region, Europe, Siberian Arctic Shelf), and that geo-CH4 is less 13C-enriched than what has been assumed so far in other studies. Other CH4 sources can now be estimated with higher accuracy. The development of effective methods for high-accuracy precipitation estimates over complex terrain and on a daily scale is important for mountainous hydrological applications. 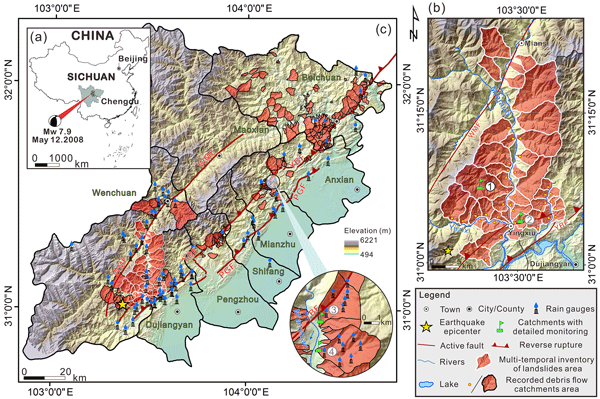 This study offers a novel approach called WHU-SGCC by blending rain gauged and satellite data, to estimate daily precipitation at 0.05° resolution over Jinsha River Basin, the complicated mountainous terrain with sparse rain gauge data, considering the spatial correlation and the historical precipitation characteristics. Soil moisture and precipitation have been monitored in the Brightwater Creek basin, east of Kenaston, Saskatchewan, since 2007. Soil moisture, soil temperature, and precipitation data from the 35+ stations, from 2007–2017, are presented, along with processing details. Data from the network is used for remote sensing validation and calibration and, in conjunction with other instruments within the network, hydrological model validation. In this work, we are contributing to the knowledge of the consequences of climate change in the ocean. We have focused on a variable related to this process: total alkalinity. We have designed a monthly climatology of total alkalinity using artificial intelligence techniques, that is, a representation of the average capacity of the ocean in the last decades to decelerate the consequences of climate change. The climatology is especially useful to infer the evolution of the ocean through models. 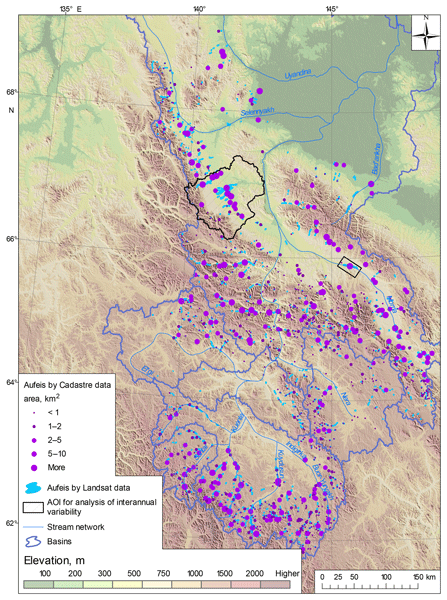 The paper highlights the data contained in the database for the prairie research site, St Denis National Wildlife Research Area at Saskatchewan, Canada. 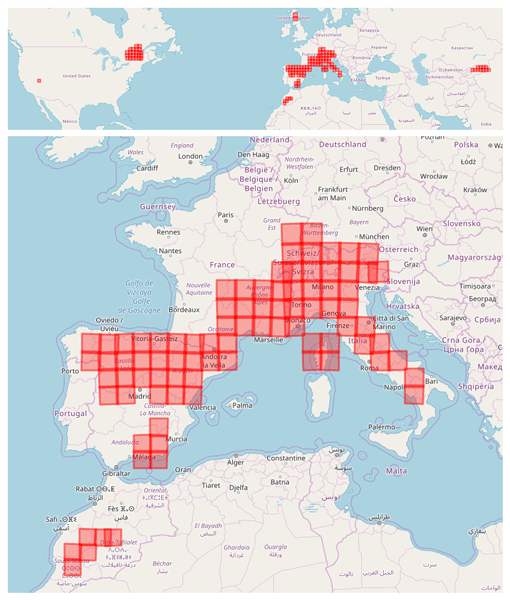 The database includes atmosphere, snow surveys, pond, soil, groundwater, and water isotope isotopes collected on an intermittent basis between 1968 and 2018.The metadata table provides location information, information about the full range of measurements carried out on each parameter and GPS locations relevant for interpretation of the data. 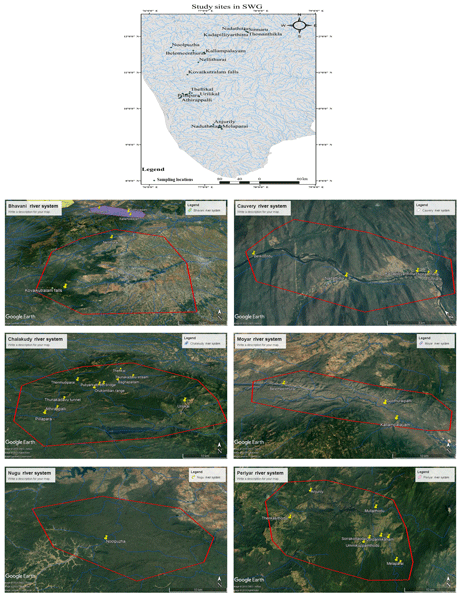 Strategically placed, spatially distributed sensors provide representative measures of changes in snowpack and subsurface water storage, plus the fluxes affecting these stores, in a set of nested headwater catchments. 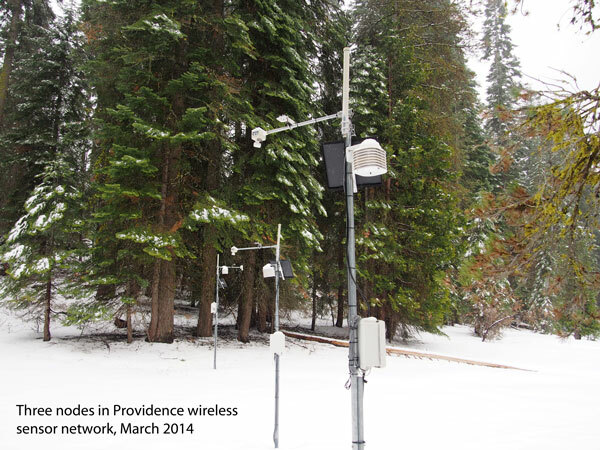 We present 8 years of hourly snow-depth, soil-moisture, and soil-temperature data from hundreds of sensors, as well as 14 years of streamflow and meteorological data that detail processes at the rain–snow transition at Providence Creek in the southern Sierra Nevada, California. 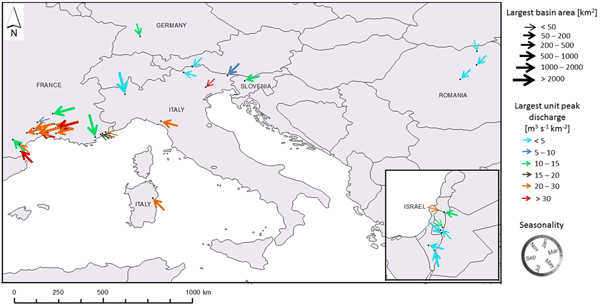 The EuroMedeFF database comprises 49 events that occurred in France, Israel, Germany, Slovenia, Romania, and Italy. The dataset may be of help to hydrologists as well as other scientific communities because it offers benchmark data for the verification of flash flood hydrological models and for hydro-meteorological forecast systems. It provides, moreover, a sample of rainfall and flood discharge extremes in different climates. From 2002 to 2005 a FerryBox system was installed aboard two different ferries traveling between Cuxhaven (Germany) and Harwich (UK) on a daily basis. The FerryBox system is an automated flow-through monitoring system for measuring oceanographic and biogeochemical parameters installed on ships of opportunity. 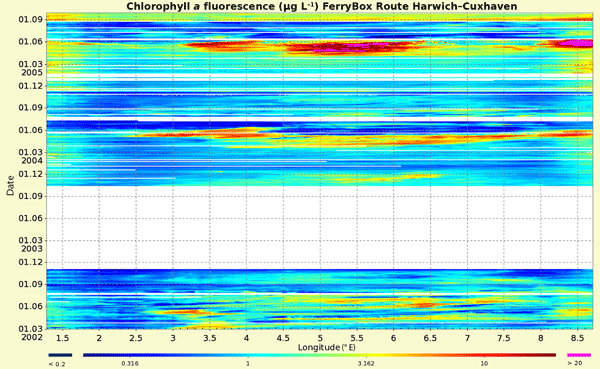 The data set provides the parameters water temperature, salinity, dissolved oxygen and chlorophyll a fluorescence. The Soil and Water Assessment Tool (SWAT) is one of the most used hydrological models worldwide. 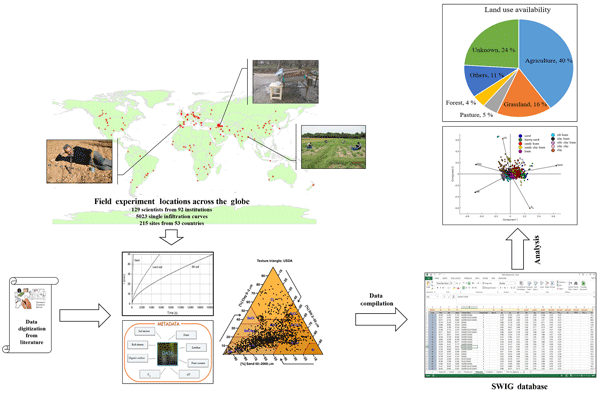 Lack of soil datasets in a SWAT-ready format hinders application of this model. 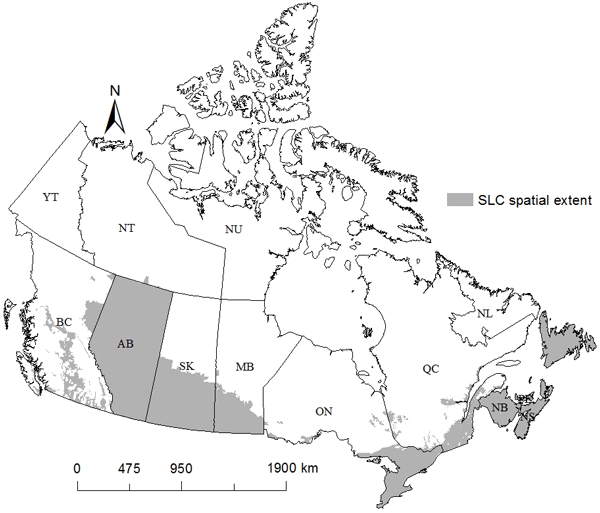 This work discusses the preparation of a soil dataset for the agricultural extent of Canada compiled from the publicly available Soil Landscapes of Canada (SLC) database. Estimations of the hydrologic soil groups and erodibility factor variables not reported in the SLC database are important contributions of this work. Antarctica suffers from a severe shortage of in situ observations of precipitation. The APRES3 program contributes to improving observation from both the surface and from space. 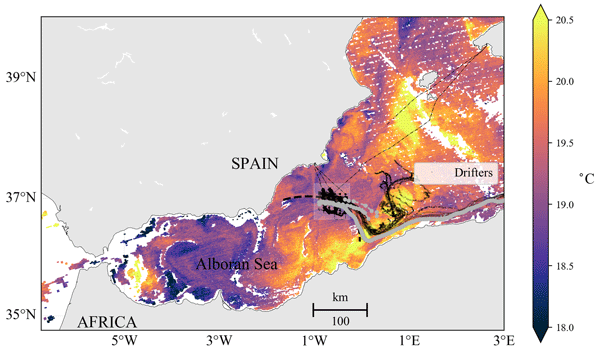 A field campaign with various instruments was deployed at the coast of Adélie Land, with an intensive observing period in austral summer 2015–16, then continuous radar monitoring through 2016 and beyond. 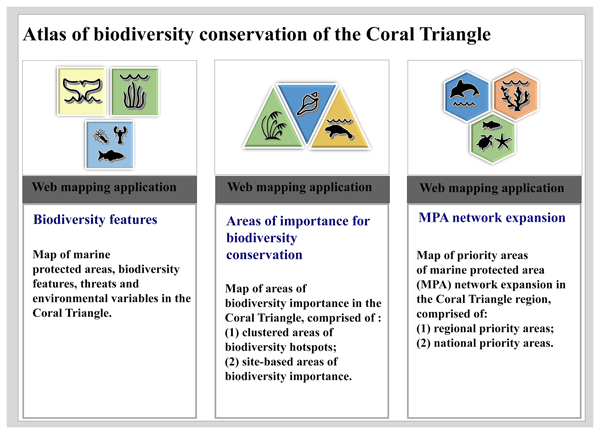 This paper provides a compact presentation of the APRES3 dataset, which is now made open to the scientific community. Global mean sea level is an integral of changes occurring in the climate system in response to unforced climate variability as well as natural and anthropogenic forcing factors. 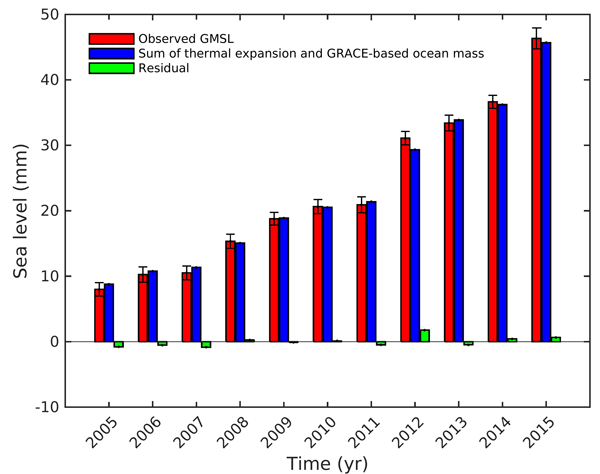 Studying the sea level budget, i.e., comparing observed global mean sea level to the sum of components (ocean thermal expansion, glaciers and ice sheet mass loss as well as changes in land water storage) improves our understanding of processes at work and provides constraints on missing contributions (e.g., deep ocean). We present a 25-year data record of cloud base height measured by ceilometer at the Ny-Ålesund, Svalbard, Arctic site. The long-term time series allows derivation of an annual cycle of the cloud occurrence frequency, revealing more frequent cloud cover in summer and the lowest cloud cover amount in April. The cloud base data further provide essential information for the interpretation of the surface radiation balance and contribute to understanding meteorological processes at high latitudes. 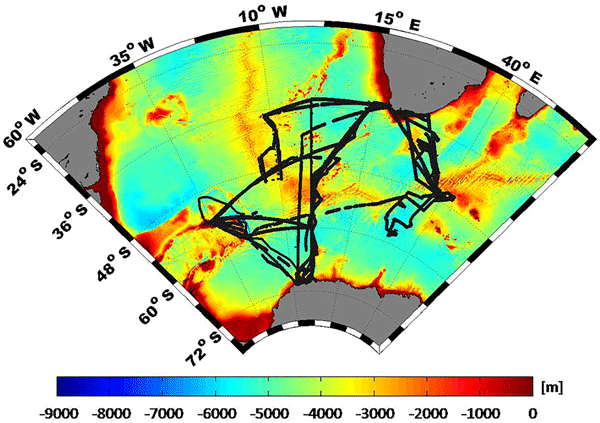 We present sea surface salinity and temperature data collected across the Atlantic sector of the Southern Ocean by thermosalinographs on board Agulhas-I and Agulhas-II research vessels. After a rigorous quality control, data have been validated through comparison with water samples and independent products. 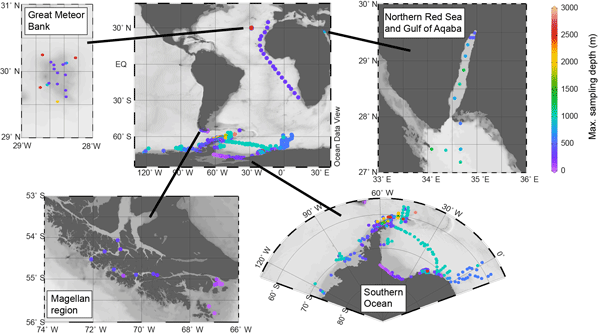 Hence this dataset represents a valuable tool for validating salinity observations provided by SMOS and Aquarius missions and improving the study of climate variability over this region. Thirty-one years of hourly gridded (10 m) air temperature, relative humidity, dew point temperature, precipitation amount, and precipitation phase data are presented for the Reynolds Creek Experimental Watershed, Idaho, which is part of the Critical Zone Observatory network. 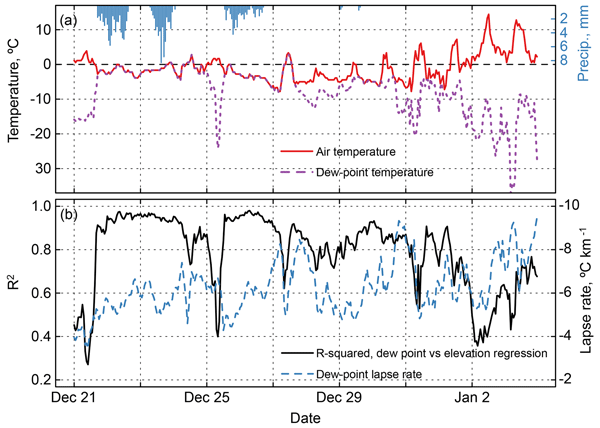 The air temperature, relative humidity, and precipitation are distributed from weather station measurements. This dataset covers a wide range of weather extremes in the rain–snow transition zone from 1984 to 2014. The speed of ice sheet flow is largely controlled by the strength of the ice–bed interface. We present three datasets on the geological properties of regions in North America, Greenland and Iceland that were covered by Quaternary ice sheets. These include the grain size of glacial sediments, the continuity of sediment cover and bedrock geology. Simple ice modelling experiments show that altering the basal strength of the ice sheet on the basis of these datasets impacts ice thickness. Seawater temperature has a major impact on human comfort and safety during swimming, surfing and snorkeling activities and the marine ecosystems. The authors deployed marine buoys to collect meteo-oceanographic data for the government and found the temperature always dropped significantly after typhoon passages. Presentation of the dataset gives a first understanding and can help to validate the numerical model in order to study the mechanism. 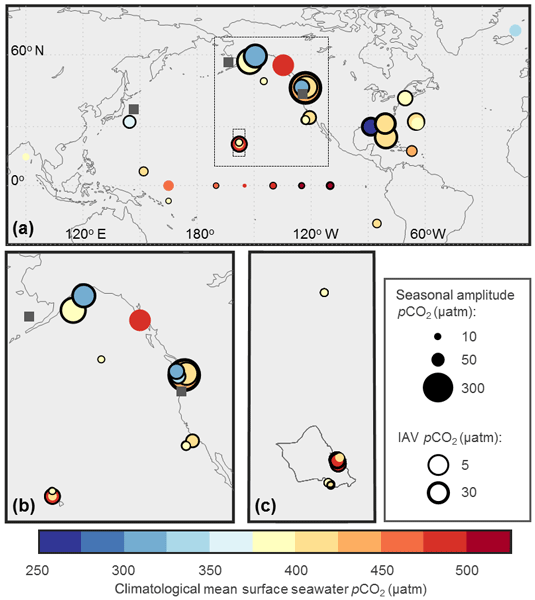 We present a multi-annual time series of land–atmosphere carbon dioxide fluxes measured in situ with the eddy covariance technique in the Siberian Arctic. 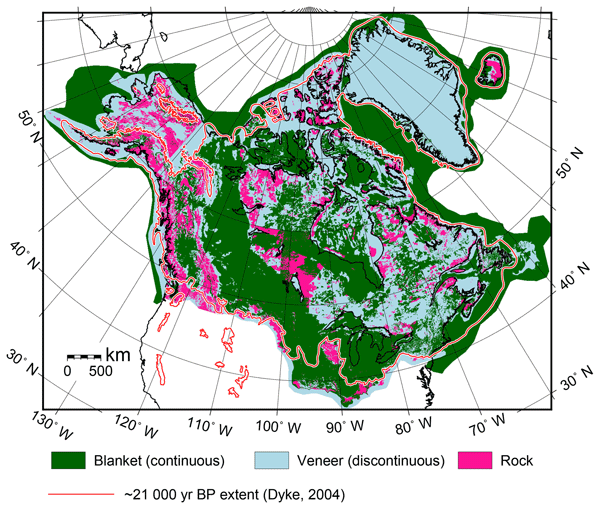 In arctic permafrost regions, climate–carbon feedbacks are amplified. Therefore, increased efforts to better represent these regions in global climate models have been made in recent years. Up to now, the available database of in situ measurements from the Arctic was biased towards Alaska and records from the Eurasian Arctic were scarce. 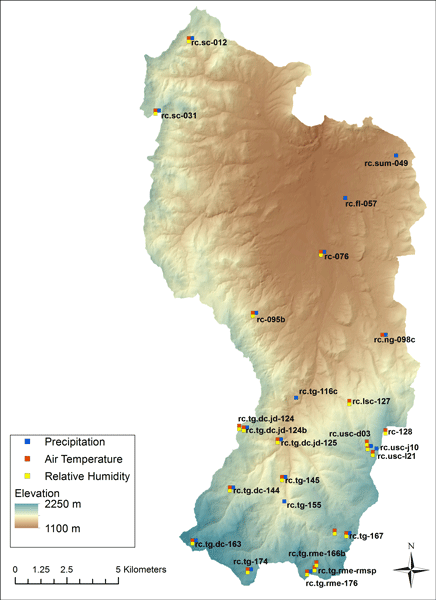 This paper summarizes climate, snow, and soil moisture data for the Tuolumne and Merced river watersheds in California, USA, for water years 2010–2014. Climate data include hourly air temperature and relative humidity, precipitation, wind speed and direction, and solar radiation. Snow depth and soil moisture at three–six points per site are available at four locations. Snow depth and water content are available from instrumented snow pillow sites and manual snow survey locations. Snow water equivalents (SWE) are useful for calibration and validation of different snow cover-related modeling efforts (e.g. glacier mass balance or snow drift). They form a measure of snow accumulation better than snow depth as they are independent of density differences and thus comparable. A dataset is presented which provides point data of snow depth and density measurements as well as of calculated SWE from 109 locations on glaciers in the central region of the Arctic archipelago Svalbard.